Change Mindset to Manifest & Attract Abundance! This is professional hypnosis abundance program. It utilizes many techniques to help bring success & abundance of all types into your life. By shifting your mindset even the slightest i the right direction, a chain reaction can occur that could potentially change your life forever. It is how we direct our mind, thoughts & desires that affects the outcomes we ultimately get. You can use this hypnosis MP3 to attract money, business success, new relationships, a new home, happiness or even a new car - it doesn't matter what it is - this program will focus your mind in the right direction so you can get it. On this hypnosis session are numerous techniques to help shift your focus both consciously, and subconsciously, to experience more abundance in your life. It begins with a visualization exercise where you imagine what you want in your life & what it means to you. 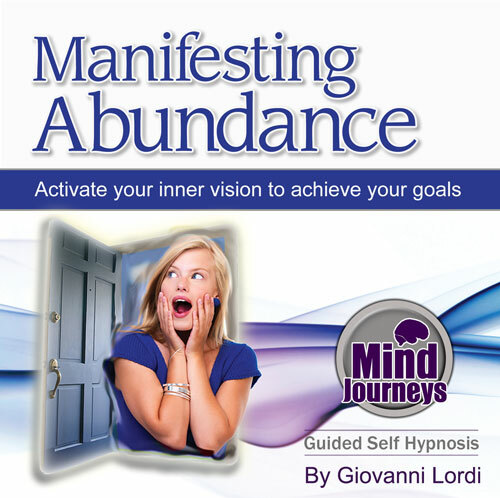 From there Giovanni will guide you through some other techniques like manifesting, the laws of attraction, improving your work ethic, and utilizing the universal laws. Practicing these every night through this recording, you should soon notice a positive shift in your consciousness during your waking hours, where everything just seems to 'fall into place'. This is an incredible feeling, and surprisingly enough, something that we can all achieve. Removing any undeserved feelings, replacing them with "I deserve this"
"I can easily & simply - I have the ability to manifest easily - Abundance of good comes my way - I Am - My intuition serves me well - I make the right choices."